Fukuoka（福岡）is located at the tip of Kyushu island（九州）, which is known for volcanoes and hot springs. Majority of the most popular hot spring towns on Kyushu are easily accessible from Fukuoka, the main transportation hub. For those who do not intend to spend so much time on onsen, you may want to choose 1 or 2 places depending on interest. If you like artsy vibes and cafes (think Otaru and Karuizawa), Yufuin will be a good bet. 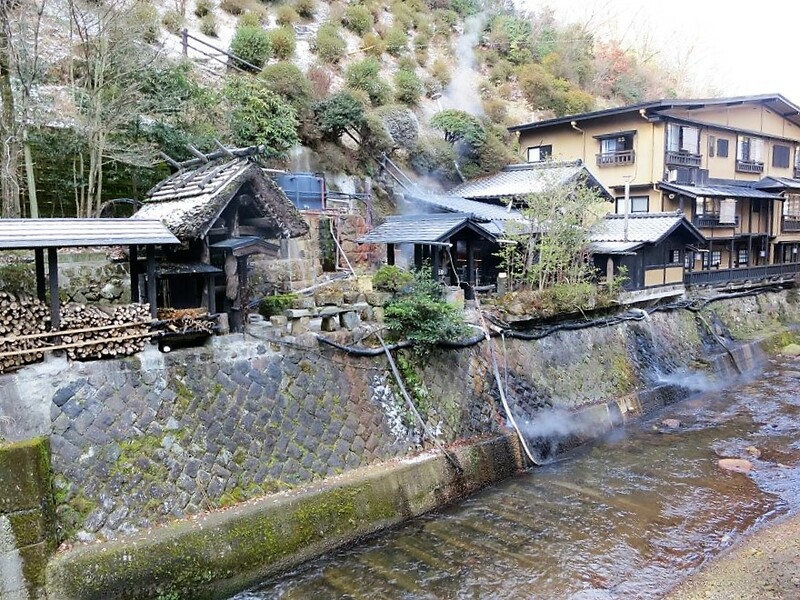 For traditional hot spring (ie Kusatsu Onsen and Kinosaki Onsen) experience, Kurokawa Onsen will be an ideal choice. Beppu has more sights to see and more types of baths to try. 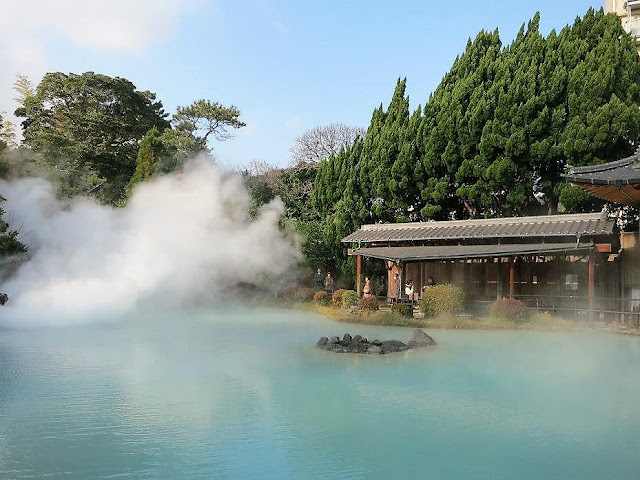 Beppu in Oita prefecture（大分県）adjacent to Fukuoka prefecture has 8 hot springs, altogether producing the most amount of hot spring water compared to other hot spring towns in Japan. It is known for the Hells of Beppu "Jigoku 地獄" (8 special hot springs for viewing, 7 of which are covered by the combination ticket). They can be covered on foot, after taking a 15-minute bus ride from Beppu station. 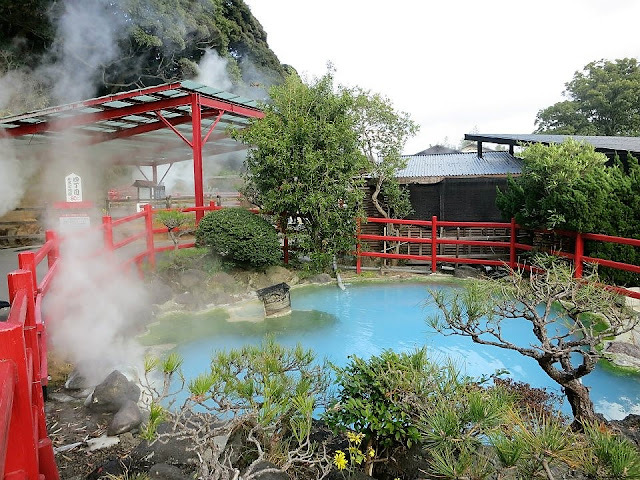 Hot spring lovers will also be pleased to know that there are several public bath houses here that offer the more uncommon types of baths, such as sand baths, mud baths and steam baths. Famous ones include Kannawa Onsen Resort's steam bath (mushi-yu), where you lie down on medicinal herbs in a stone chamber filled with onsen steam, and Takegawara Hot Spring's sand bath which has been around for more than a century! A trip to Beppu is often combined with Yufuin nearby, another popular hot spring town in the region. Usuki（臼杵）, known for stone Buddhas which have been designated as national treasures, is also popular with visitors to the vicinity, especially domestic tourists. It also has a preserved samurai district. 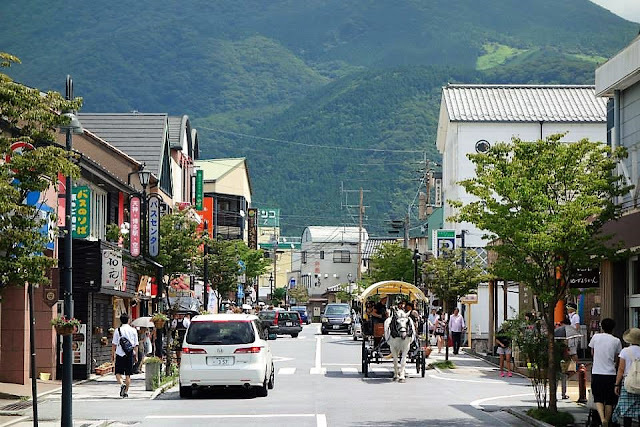 Yufuin is an attractive hot spring town with small boutiques, cafes and art museums lining both sides of the street (approximately 1.5 km) directly in front of the train station. The vibe is somewhat like Karuizawa（軽井沢）in Nagano and Otaru（小樽）in Hokkaido. Especially for those who like zakka 雑貨 (lifestyle goods) and confectioneries such as fresh cream roll cakes, you are in for a treat~ Some of the cakes are so popular they are sold out by noon! As for hot springs, there are several ryokan 旅館 (Japanese inns) scattered across the area, away from the main street. Some of them are opened to non-staying guests. There is only one public bath facility visitors can use called Shitanyu（下ん湯）, located at the end of the main street where Lake Kinrinko（金鱗湖）is. For those who want to experience Yufuin's hot spring, staying 1 night is recommended due to the lack of public baths, and that most of the ryokan with notable onsen facility are quite a distance from the main street. Some of them provide pick-up service from the station for staying guests, if not they should be accessible by taxi or rental car within 10 to 15 minutes from the station. For non-staying visitors, rental bicycles can be considered too. A trip to Yufuin is often combined with Beppu in the same prefecture. Kurokawa Onsen, located in Kumamoto prefecture（熊本県）in the middle of Kyushu, is a traditional hot spring town similar to Kusatsu Onsen（草津温泉）and Kinosaki Onsen（城崎温泉）. 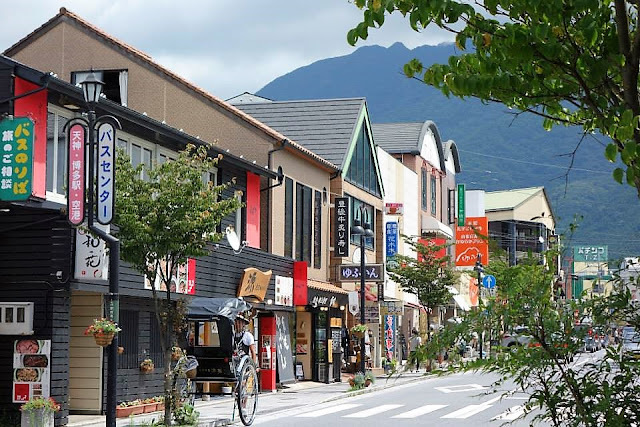 It has a compact town centre dotted with public bath houses, shops, cafes and ryokan. There are 2 public bath houses, however those belonging to ryokan are larger and have rotenburo 露天風呂 (outdoor baths). Many ryokan guests stroll around the town in yukata (Japanese summer kimono provided by the ryokan) and enjoy "onsen-hopping" among ryokans opened to non-staying guests. Visit to 1 bath costs 500+ yen and a pass for 3 baths over a 6 month period can be purchased for 1300 yen. Kurokawa Onsen can also be accessed by Kyusanko Kyushu Odan Bus from Beppu (2.5 hours), Yufuin (1.5 hours), Aso (50 minutes) and Kumamoto (3 hours). However frequency for this bus is low. Night: Stay in a ryokan in Yufuin. Evening: Walk around Kurokawa Onsen's town center. Night: Stay in a ryokan in Kurokawa Onsen. Morning: More onsen at Kurokawa Onsen. And the trip continues. Either spend time in Aso or head straight to Kumamoto. For traveling around the region, Kyushu Rail Pass is recommended for those taking trains often, while Sun Q Pass covers almost all buses (inclusive of highway buses) in Kyushu. 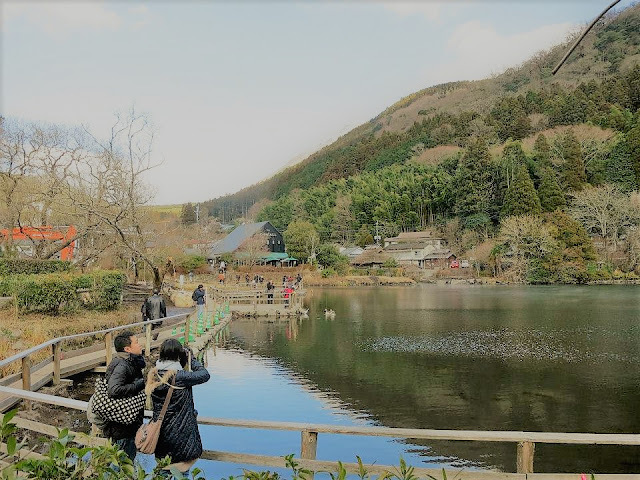 For those going to Kurokawa Onsen which is not on the rail road, you may want to consider getting the Sun Q Pass and maximise it by taking bus instead of train for the longer journeys such as from Hakata to Beppu. For just the above itinerary, getting the 3D pass for Northern Kyushu (7000 yen if purchased outside of Japan) would be worthwhile for those heading straight to Kumamoto from Kurokawa Onsen. 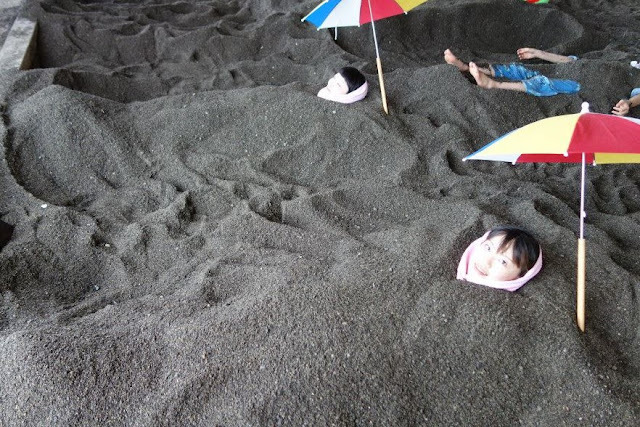 Ibusuki is in Kagoshima prefecture（鹿児島県）at the southern end of Kyushu, most famous for its sand baths. 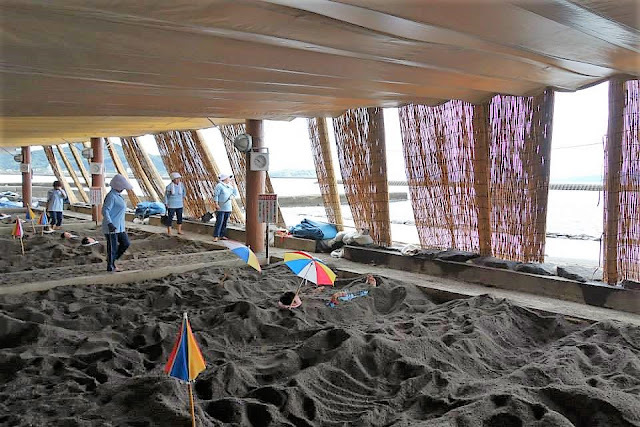 One of the most popular/larger facilities is Saraku Sand Bath Hall（砂むし会館砂楽）which many ryokan/hotel in the area partner with. 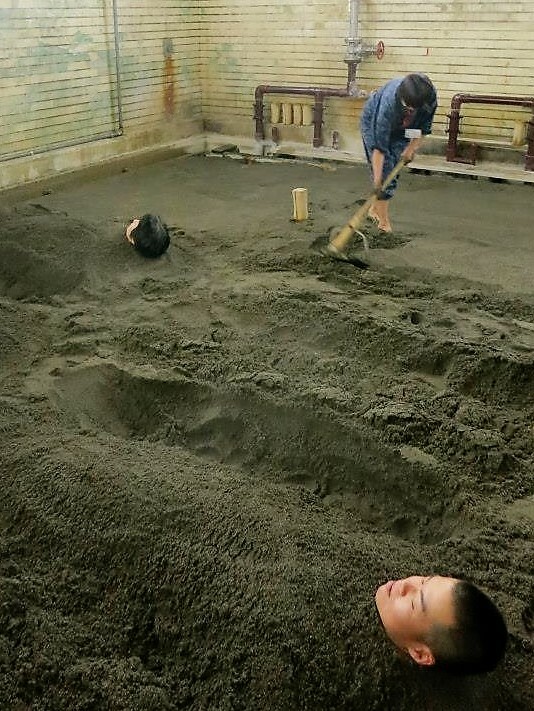 Guests change into yukata provided and get buried under naturally heated sand, followed by the usual hot spring bath after showering. Sand bath can also be experienced in other parts of Kyushu such as in Beppu, hence it would only make sense for visitors to Kyushu to come here if they are covering Southern Kyushu. Of course, Southern Kyushu has many places worth visiting too, such as Chiran Tokko Museum（知覧特攻平和会館）on kamikaze pilots, Senganen Garden（仙厳園）and Yakushima island（屋久島）in Kagoshima prefecture, to name a few. First post of this series on Popular Hot Spring Towns near Tokyo. Second post of this series on Popular Hot Spring Towns near Osaka.